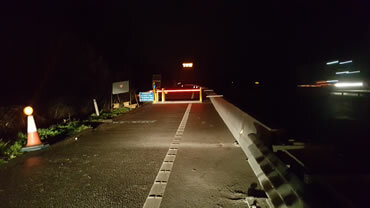 A revolutionary approach to securing worksites has Green Gate Access Systems on the map for the highways and construction sectors with the Maidstone company shortlisted for two major awards. The solar powered product offers mobility, durability and flexibility in a single easy-to-deliver platform that can be adapted to suit work site demands. It has already proved a hit with new and existing clients, including Kier Living and Taylor Wimpey, who have rolled the system out to 40 UK sites to date. A partnership with Detling-based Highway Care, has seen the product adapted for the highways sector, with a trial already on the M23. 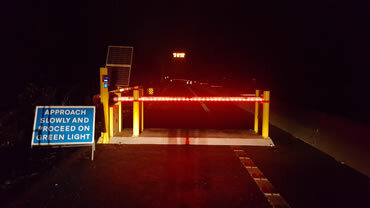 It marks the first-time solar technology has been used this way on the UK motorway network, safely allowing construction traffic to enter the site. Developed towards the end of 2016, the Highways version of SOSEC is now on a live trial on the M23 motorway improvements project and is helping the main contractors reduce their manned security costs. Situated at the entrance to a key area of the roadworks section, SOSEC is controlled by long range radio fobs for the main contractor, proximity tags or key code for known work teams and also features a 4G intercom allowing unexpected users to be connected directly to a remote control room in the event of an emergency. With the trial running for at least another month, there has been 100% reliability of the product and Highways England are expressing positive interest in the product for future infrastructure projects where worker safety is a key concern.